I read Alcorn’s book many years ago and seem to remember that he advocated a pretty radical approach to money. Basically, in my memory, he thinks that you should give away practically all your money, but how he expects you to live I recall he proposed having no insurance. And he claimed that he gave all his possessions to the church but later admitted his wife owned everything they had, or else they received everything they needed through his church. As I said, it was probably 10 years ago when I read the book so my memory may be faulty. I recently read Ramsey’s book and felt he had a much more reasonable approach. He didn’t tell me to give away all that I had so maybe that’s why I liked his book more. Where Alcorn gave one biblical quote and presented that as how we should handle money, Ramsey took the quote and the whole story that surrounded the quote and made more sense. I often struggle with what God wants us to do with the financial resources we have and reading both books has not really solved the problem for me. Thanks for weighing in! Alcorn is very radical. He does have medical and life insurance, as well as a retirement account and helped with children’s college. So obviously he wasn’t giving everything extra away, but he tends toward that side of the spectrum. He had his assets put in his wife’s name as he was sued for refusing to pay a fine to an abortion clinic after a nonviolent protest. I admire his loyalty to his values but also agree that some of his decisions don’t translate into practical steps for others. Ramsey dealt with longer portions of a few passages, but Alcorn handled a lot more verses about money. Both interesting guys to read! Term life insurance is definitely the way to go. It’s what I have. I’m definitely not over-insured. If anything, I’m under-insured. But it’s all we can afford right now, since my health problems make insurance more expensive. It’s enough for my husband to pay off our relatively small mortgage and still have 1-2 year’s worth of money. I really hate the concept of an inheritance. I mean, it’s lovely if you can leave money for your children. But I hate that people put it as a priority over other things. Any money I inherit from my mom will make me sad because it’s money she could have spent on herself, enjoying life. I hadn’t ever thought of receiving or leaving an inheritance until reading these books. It’s just not a topic on my financial to-do list at the moment. Definitely not something I’d ever expect or want my children to expect. 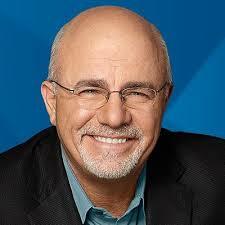 I like Dave Ramsey a lot. He has helped me personally to become financially literate. And I think he’s doing a good thing by preaching against toxic ‘anti-rich’ sentiment. My main critique of his emphasis is that he often quotes the scriptures on money but very rarely quotes the scriptures which warn about loving money. There’s a lot of scripture which solemnly warns about our hearts desiring wealth. While money itself is not evil, it has motivated a lot of evil. And we spend a lot of time “longing for wealth”. I would like to see Dave offer more caution about longing for wealth when he deals with the Bible. Alcorn has a lot of interesting things to say in that long book. He does a good job of ‘rattling our cage’ as rich Americans, by inviting us to consider that there may be fundamental areas where our hearts are off track with regard to money and greed. His calls back to trusting the Lord are really needed. Jesus himself rattled a lot of cages with regard to money. One weakness I see in Alcorn’s position is that there are also a lot of scriptures on being shrewd and stewarding money rather than just giving as much as possible away for others to steward. Great summaries of these authors’ strengths and weaknesses. I found it really helpful to read them back-to-back since they tend toward different extremes. I appreciate your comparison of Dave Ramsey’s teaching and Rev. Alcorn’s teaching. 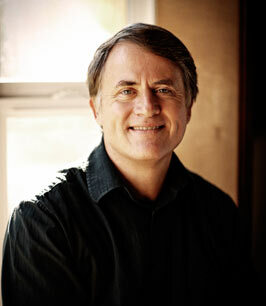 I thought you might also be interested in watching this video of Larry Burkett teaching on finances. He speaks of money difficulties not being the real problem but only a symptom of a deeper problem. Not long and well worth watching (hope that long link works!). Even has a ‘take-away’ picturing the difficulties that his listeners are thinking about as he is teaching. Really brings home the msg. I am grateful for very early teaching to ‘owe no man but to love him’ but Larry is the first teacher I ever knew about that taught extensively on this subject. On a side issue: I am a very grateful widow who appreciates the small inheritance I rec’d. Some years ago the Lord impressed me to ‘watch over and care for my flocks’. I understood that flocks were the measure of wealth for those folks and so took it that I was supposed to pay more attention to what Iittle I had and manage it better. I became a real good bookkeeper but knew nothing about investing. So I’m a late learner in that regard but recently found ‘Seeing Alpha’ website and am absorbing all I can. Thanks for sharing. Burkett is actually the first Christian financial teacher I became familiar with, right after high school. I liked his message but haven’t read him in years. I think the inheritance debate surrounds whether to leave a large inheritance that will continue generating wealth that can be passed down though the generations. We are also more interested in leaving a spiritual legacy than a monetary one. We could “hustle” a lot more for extra money but we’d rather pour that time & energy into our kids & modeling a ministry lifestyle for them. Glad to hear from a fellow Alcorn reader & long-lost financial twin’s spouse! To be fair, I am only vaguely familiar with Alcorn’s works, theology / philosophy, whereas the hubs and I went through Ramsey’s FPU (Financial Peace University program — not an accredited university or degree program, but helpful for getting folks out of debt / helping folks stay debt-free). Ramsey’s approach helped us get out of debt, I’ll say that much. Here’s some food for thought: our family lives in a high cost-of-living area in which church folks often offer almost no support, be it financial or otherwise. Because of that, in our case, we’d be fools not to build up a healthy emergency fund and savings account to self-insure for medical and other expenses. What you write about Alcorn’s approach would leave me concerned that it may end up a bit too idealistic for several situations, including sincere Christians who put Alcon’s recommendations into practice, only to move to an area like ours, and receive insufficient support from the church in times of need. Sadly, I know this from firsthand experience. So, I now believe in considering the culture in which one lives and stewarding one’s resources accordingly. I find that by saving up a lot more, we end up having just enough to afford what we need — and as a result, we don’t end up with a sense of remorse, resentment and bitterness from having given away what we needed for our own family. Frankly, I would rather have enough for my own family (and hopefully some left over for folks in need) than to have given away too much to others and end up with too little to take care of my own family, because I recognize my primary responsibility as being to my own family. Yes, I agree with your concerns entirely, Lynda. You are right that it would be foolish to assume others will meet your needs just because you’ve met the needs of others. There are a number of missions organizations that have a community-based plan for supporting retired missionaries, and this may be what Alcorn is referring to. I don’t think you should just expect your church to take care of you because so much can change. There is also a cultural element like yous said. Thanks for sharing your experience with FPU. I think it’s a great resource that has helped lots of people, including myself. As with any expert or author, it’s important to evaluate their message and take away what you believe to be true to Scripture.